Every man needs a statement piece to see him through the winter, and the Jackson Cashmere Roll Neck sweater fits the bill. In a striking shade of dark russet, with flecks of navy, oranges, greys and yellows. 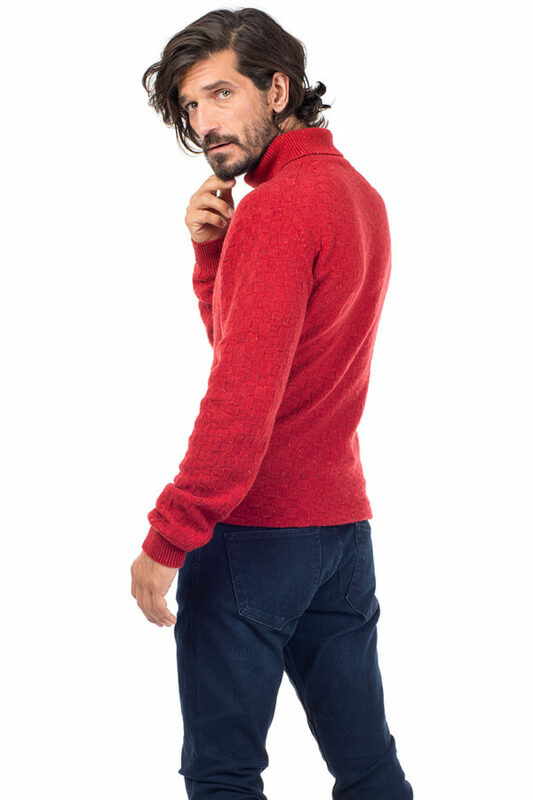 In the perfect winter shade of russet, the Jackson Sweater is ideal attire for a weekend in the country, and smart enough for a night out. Wear either with smart chinos, jeans, and brogues. Or for a more relaxed look team it with our Squaw Sweats, and under the Maverick Hoodie. Fits true to size. 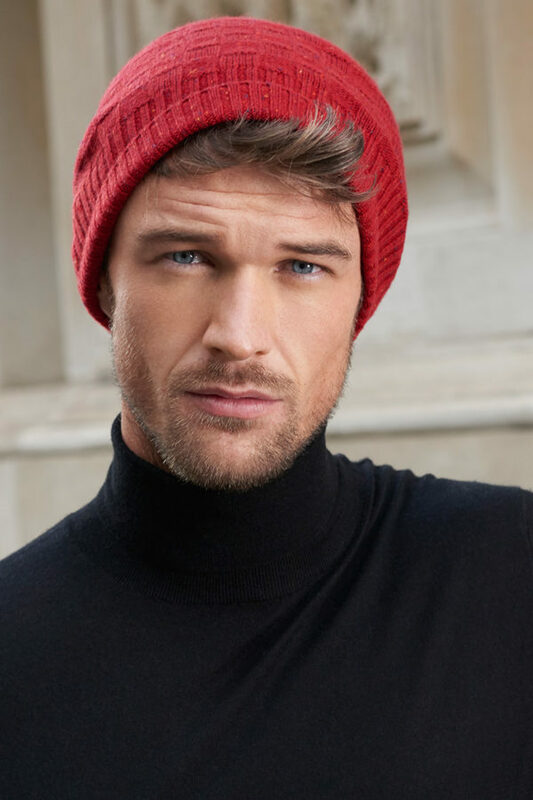 Model wears a M. He is 6’/ 183cm, and a 38″ chest. 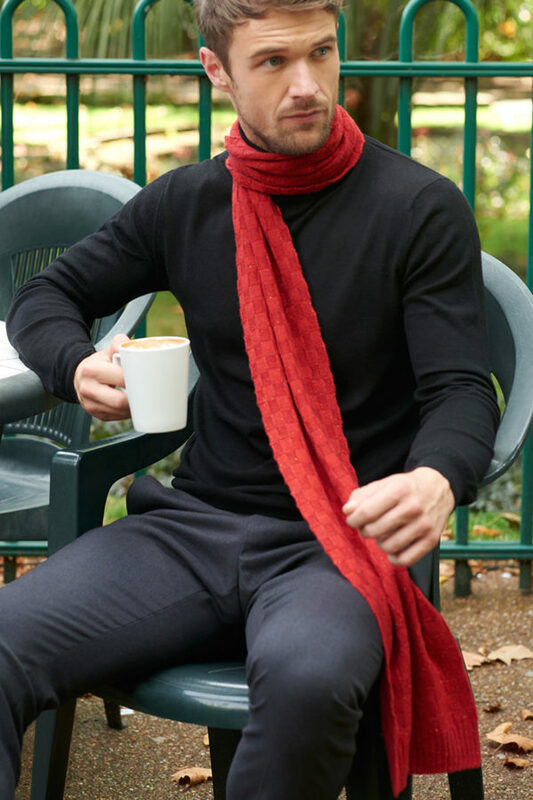 Woven from super soft Cashmere, the Wisp scarf in a striking russet, has a beautiful handle and feels very tactile. 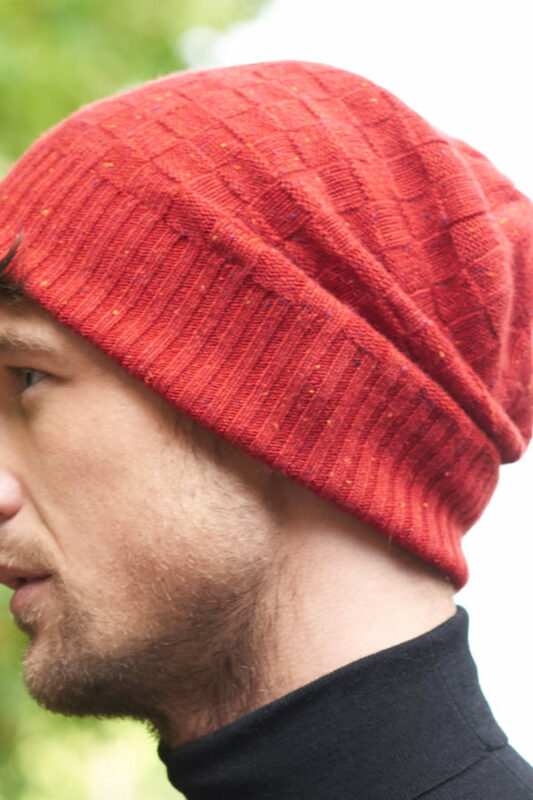 Crafted in a basket weave design, with a smart ribbed finish. The flecks of colour in the weave, really make this special. 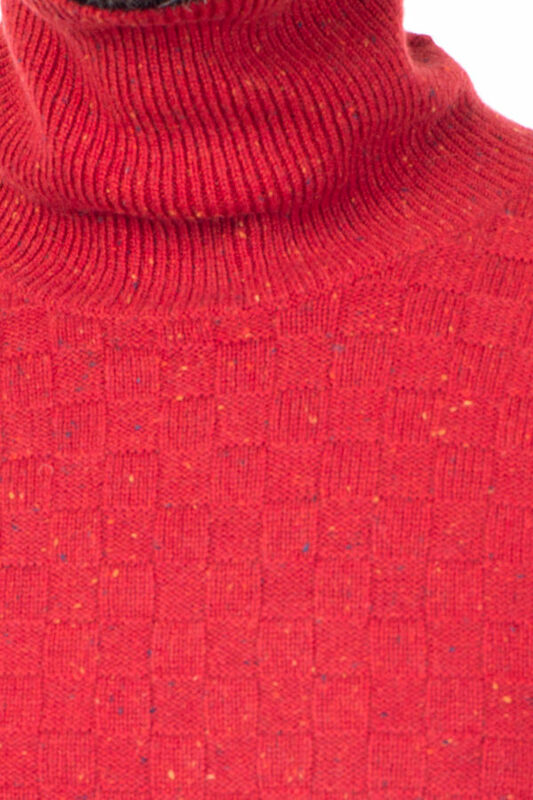 The perfect match to the Jackson roll neck. Also available in Heather grey. 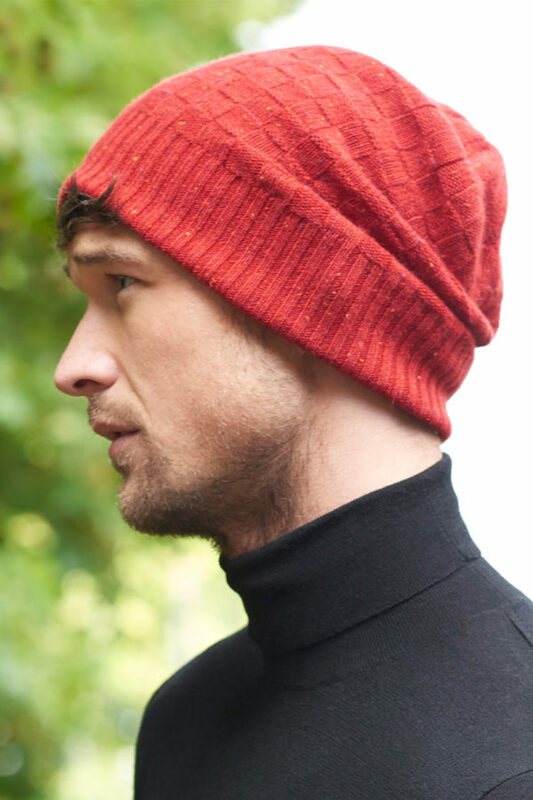 Woven from super soft Cashmere, the Zephyr beanie has a beautiful handle and feels very tactile. Crafted in a basket weave design, with a smart ribbed finish. The flecks of colour in the weave, really make this special. 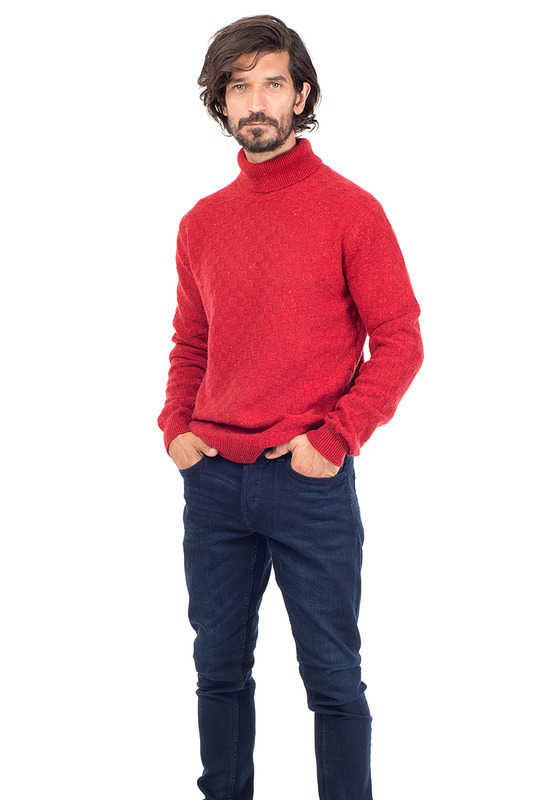 The perfect match to the Jackson roll neck. Also available in Grey. 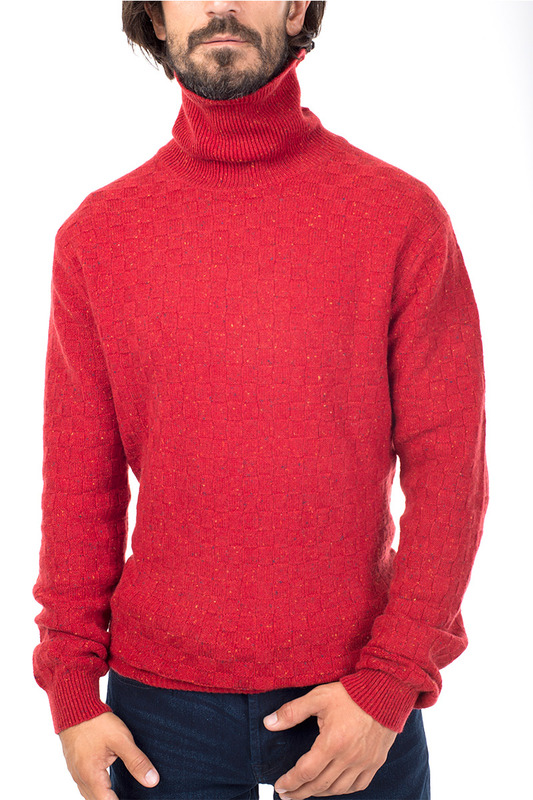 Every man needs a real statement piece to see him through the winter, and the Jackson Roll Neck fits the bill. 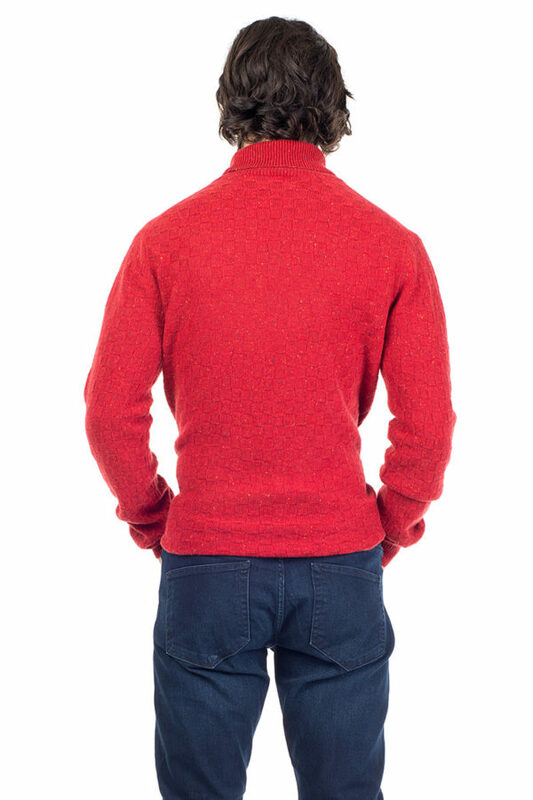 The Jackson cashmere sweater has been designed in a elegant basket weave, in a shade of heather grey, with flecks of navy, oranges, greys and yellows. Tactile, soft and luxurious. A piece to be coveted and admired. Striking shade of heather grey, the Jackson Sweater is ideal attire for a weekend in the country, and smart enough for a night out. 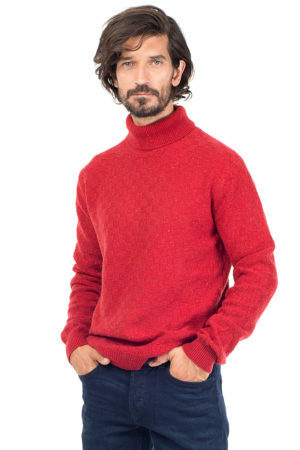 This roll neck sweater is crafted from the finest Mongolain Cashmere and Silk for a fine-gauge texture, with a smooth, and luxurious handle, this is the perfect fit. It is lightweight enough to layer with smart tailoring under a suit, or with a blazer. The perfect addition for every mans wardrobe. Available in Navy, Army Green, Dark Beige or Black.